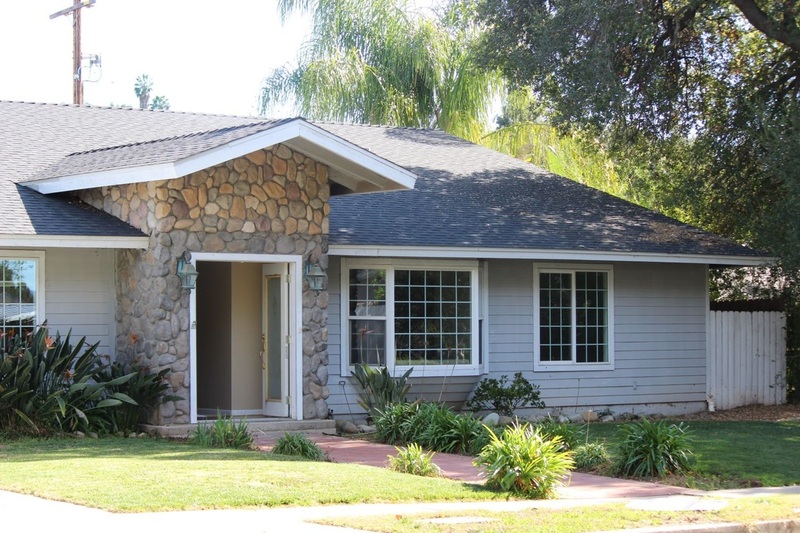 This home is in escrow. This spacious home features an open floor plan with a formal living room and a large family room that is open to the dining area and kitchen. Four bedrooms, an office with a closet, and an alcove in the great room that could be used as a game room or play area provide ample space for those who need a large home with versatile rooms. A river rock fireplace is the focal point of the great room, which has French doors leading to a patio with a pergola and mountain views. The spacious master has a large walk-in closet and an oval soaking tub in the master bathroom. A secluded guest room with an en suite bathroom is ideal for guests, whom will be greeted by mature landscaping and a brick walkway leading to the rock entry. Walk to the Ojai Valley Trail, shops and restaurants, and enjoy the Ojai Valley lifestyle only about 15 minutes from the beach in this home that is in a great location for commuters.